The regulation of professional services is a prerogative of the Member States. It aims at ensuring the protection of general interest objectives. The particular way Member States regulate a profession stems from a number of factors such as: the importance that society puts on specific general interest objectives to be protected; the efficiency of different administrative and judicial supervisory arrangements; economic situations; the relative economic importance of the sector for the country in question and the strength of vested interests. A combination of these factors and the resulting policy assessments has led to the adoption of different regulatory models. The existence of various models is not an issue. The aim, therefore, is not to impose directly or indirectly any particular regulatory model throughout the EU. No matter which regulatory framework is chosen, regulation creates obstacles for the functioning of the Single Market and holds back the potential for growth and job creation in the EU economies. Removing such barriers opens up opportunities and has a positive impact on the productivity and competitiveness of the EU economy. Irrespective of the model applicable in each country or region, where restrictions may be eliminated or be rendered more proportionate, this task should be undertaken to the benefit of the citizens, consumers and professionals. For this purpose, experience drawn from other Member States on the best way to proceed will be helpful. Obstacles for growth and trade may originate in seemingly less important restrictions, whose cumulative effects may be pernicious. The objective of this Communication is not only to assist Member States with the removal of specific unjustified substantive restrictions, but to create a ‘virtuous’ regulatory awareness by Member States. The reform recommendations in this Communication address a broad range of requirements and do so by way of a comparative analysis following the spirit and the work carried out in the mutual evaluation exercise with Member States during the past 3 years. 5 The recommendations aim at supporting Member States in creating a regulatory environment that is conducive to growth, innovation and the creation of jobs. They are not limited to cases of violation of Union law even though some of the requirements referred to might constitute such a breach. Even more, due to the nature of service provision, the sector has strong inter-linkages with other economic sectors, such as manufacturing. 9 Given the importance of the EU services market for the overall EU economy, a well-functioning services market is a key component in the Commission’s focus on boosting job creation, growth and investment. This Communication identifies possibilities for improving the regulatory environment for a number of economically important groups of professional services. Reform recommendations are formulated for each Member State taking into account the specific regulatory environment in place. Given the different regulatory approaches, not all Member States have the same need to review and modify the regulation. As a consequence, recommendations differ from country to country and some Member States may not receive recommendations for one or several professional services. Also, some of the reform needs identified might have more serious and even legal implications in cases where an infringement of EU law might be established. The Commission will monitor the implementation of the recommendations in this Communication together with the Member States and propose, where appropriate, measures to address remaining barriers. This could include enforcement action as regards possible violations of Union law or legislative proposals to address remaining burdensome requirements. This Communication and its reform recommendations complement the Commission’s broader Annual Growth Survey by providing a comprehensive and in-depth analysis covering all the Member States in the selected sectors and groups of professions, and identifying concrete reform possibilities across all Member States in these sectors. It provides a more specific approach in a significant area for structural reforms and, where relevant, complements and supports the Commission's analysis and the country-specific recommendations under the European Semester. Professional services constitute a very important element in the economy of Member States and the EU. Many of them provide essential input for other market operators and the economy as a whole and many of them are active in sensitive domains, often characterised by asymmetry of information and considerations related to broader policy objectives such as the functioning of the judicial system, safety of the built environment, etc. It is up to each Member State to decide whether there is a need to intervene and to impose rules and restrictions for the access to or exercise of a profession, as long as the principles of non-discrimination and proportionality are respected. Member States determine the public interest objective they want to protect and choose the most appropriate way to achieve this. Requirements imposed on professional services have been the subject of European Court of Justice jurisprudence. The Court has repeatedly held that, even if applied without any discrimination, national regulations of professions including requirements concerning qualifications are liable to hinder or make less attractive the exercise of the fundamental freedoms by EU citizens and companies, guaranteed to them by the Treaty. 10 The Court also stated that the fact that one Member State imposes less strict rules than another Member State does not mean that the latter’s rules are disproportionate and incompatible with EU law. It is for the Member States to assess whether it is necessary to place restrictions on professional activities on a case-by-case basis and taking into account the entirety of the regulatory context. In many cases, regulation is justified, e.g. when it comes to health and safety issues. However, for regulation to be fit for purpose, it has to be reviewed regularly in order to take account of changing environments, e.g. technical innovation, better educated consumers, etc. Established rules may no longer be the most appropriate ones and might have lost their justification because of technological, societal or market developments. The latter may also create the need for regulatory responses, for instance in the area of tax avoidance and evasion. However, the appropriate response does not necessarily consist in regulating a particular profession and may rather be broader, such as mandatory disclosure rules imposed on any intermediary in tax matters. One of the conclusions to be taken from the discussions in the mutual evaluation exercise is that differences between regulatory concepts as such do not necessarily indicate a need for reform. However, while public interest objectives that regulation is supposed to protect are similar, the level of regulation might be so different that it raises questions as to why the level of state intervention is particularly high in one or more countries. Restrictions might also exist in Member States not regulating a profession, for instance where certification systems play an important role on the market. To date there are still seven Member States, namely Cyprus, Greece, Hungary, Ireland, Malta, Slovenia and Spain which have not transmitted their NAP. Looking at the content of the NAPs which were submitted, the level of ambition is very different, with some Member States describing a comprehensive approach to reviewing legislation or targeted reforms in specific professions, while others showed a rather limited intention for reforms. For some Member States, actions mentioned in their plan refer to past measures because they had already been through a reform process, although this does not necessarily mean that there is no scope for further reforms. In other cases, there seems to be a lack of political will to engage in a serious and open review of the current situation. the introduction of an analytical framework for proportionality analysis (‘proportionality test’). The guidance on reform recommendations and the proportionality test can be considered as complementary: while the present Communication aims at prompting Member States to make concrete adaptations to the existing regulatory framework of specific professions, the proportionality test aims at acting pre-emptively through providing a general set of criteria assisting Member States in a thorough assessment of justifications and needs for future regulation of professions in all sectors before they adopt new legislation or make any changes to their existing rules. Both the reform recommendations and the proportionality test aim at refining Member States’ approaches to regulation, not by dictating them, but rather by ensuring better regulatory practices to guarantee that regulation is proportionate and that negative economic consequences are avoided. A better functioning of the Single Market gives EU Member States advantages at the national as well as global level. Total services account for 71 % of GDP, representing slightly more than, EUR 10 trillion and 68 % of total employment, i.e. roughly 150 million people 19 However, it is broadly acknowledged that the full potential of a Single Market in services remains unfulfilled. At present, based on what Member States notified in the regulated professions database, there are over 5 500 regulated professions across the EU. 20 There are large variations between countries, ranging from Lithuania, which reported only 76, to Hungary with 545. 21 However, these numbers tell us little about the intensity (or proportionality) of the regulation, its economic impact or the characteristics of people affected by it. The regulation of professional services aims at ensuring the protection of a number of general interest objectives. A multitude of methods and models have been developed, based on market particularities, national and political preferences. Regulation tends also to be comprehensive, covering a broad range of regulatory issues, and often contains numerous restrictions ranging from more or less wide exclusivities on the exercise of certain activities (reserves of activities) 22 and the protection of professional titles 23 to restrictions on corporate forms or who controls the ownership or management of companies that provide professional services. Even when such regulations fully achieve their policy aim, it is undeniable that they have a significant economic impact. Measuring the precise economic impact of regulation for professional services is difficult and until recently no figures even existed regarding the prevalence and effects of occupational regulation on the EU labour market. In response to this lack of figures, the Commission contracted the first ever EU-wide representative survey to provide the data necessary to measure the prevalence of regulated professions. 24 Conducted during the first quarter of 2015, the survey contacted over 26 600 European citizens and concluded that 22 % of the European labour force, or over 47 million citizens, are directly affected by regulation. Its prevalence varies across the Union, from 14 % of the workforce in Denmark to 33 % in Germany (see Chart 1). The analysis of the economic effects of regulation shows that depending on the occupation, there could be between 3 and 9 % more people working in a given profession if access requirements were made less stringent. The study estimates also that regulation implies an aggregate wage premium of about 4 % but with considerable variations depending on sectors (up to 19.2 % in some areas). 25 This could translate into higher prices of services for consumers. This is reflected in significant differences in wages across professional groups and suggests that regulation by way f reserves of activities may significantly distort relative wages. It also suggests that professional regulation contributes to wage inequality in the European labour market, particularly benefiting those at the top of the income distribution. Further, a number of studies recently contracted by the Commission show that making regulation more proportionate and adapted to market reality, e.g. by relaxing the most restrictive and unjustified requirements, resulted in improved market dynamics, specifically leading to more market openings, more start-ups and new innovative services brought to market by new entrants. 26 It would also lead to benefits for consumers in terms of lower prices as a result of reduced profit rates. This Communication and its annexes provide a detailed analysis of the regulations which apply to architects, civil engineers, accountants, lawyers, patent agents, real estate agents and tourist guides. These seven groups of professions were selected because they belong to four key economic sectors (business services, construction, real estate and tourism). The mobility in those professions is relatively high and the professions are regulated in a majority of Member States, albeit with divergent regulation. This means that there is considerable potential for meaningful and economically relevant reforms. An indicator on the restrictiveness of occupational regulation has been designed in order to support qualitative analysis of the barriers and take into account the accumulated burden of multiple requirements rather than focus on measures in isolation from their wider ramifications. This indicator provides an objective and measurable basis for comparing Member States’ performance in the seven groups of professions selected. (4) exercise requirements: restriction on corporate form, shareholding requirements, restrictions on joint exercise of professions, incompatibilities of activities, etc.. The restrictiveness indicator builds in part on a Commission assessment of barriers in business services published for the first time in 2015, 31 but goes beyond this by for example also covering educational requirements not covered previously to provide a holistic comparative understanding of the different regulatory requirements in place spanning the whole course from education and training to exercise restrictions and incompatibilities between professions. It covers the same groups of professions as the OECD Product Market Regulation (PMR) 32 adding namely patent agents, real estate agents and tourist guides. Other than the OECD PMR indicator, this indicator takes into account the range of professions and activities covered which exist and vary between Member States in each of the areas covered, it contains a weighting of every restriction as to its impact and it includes up-to-date information, as derived from the mutual evaluation exercise, making an extensive use of the EU regulated professions database. The new indicator therefore reflects the most recent regulatory changes in the Member States, such as France's law on growth, activity and equal economic opportunities adopted in 2015. This inevitably leads to results which may be different from previous assessments, which were based on the OECD PMR indicator. Restrictions cannot be analysed separately without taking into account the other mechanisms in place to complement or replace the specific restriction. The holistic approach makes it possible to estimate how restrictive a regulatory framework is for professionals. At this stage the indicator will, however, not reveal non-regulatory barriers or the role played by specific general laws or mechanisms in place to protect the consumers and the public interest objectives. This is why the indicator is accompanied by a qualitative assessment and analysis which provides additional information on the reality on the ground. An econometric analysis done by the Commission indicates, for the seven groups of professional services, that lower levels of regulatory restrictions coincide with better economic outcomes, specifically lower incumbents' rents and higher growth of the number of enterprises. The indicator can be used as a monitoring tool to measure the evolution of the level of restrictiveness of regulation over time. The analysis below presents for each group of professions the scores reached by the indicator at EU level, as recorded at the end of November 2016. The staff working document provides further details for each Member State. The following sections describe the different sectors analysed. Concepts and (national) terms used in relation to these professional services vary, and the organisation and scope of activities of the different professions in these sectors often differ between Member States and hence cannot always be compared easily. The analysis undertaken takes account of these differences and operates on the basis of activities covered by a given sector rather than a national denomination or definition of a particular profession. This concerns in particular civil engineering, where a great variety and multitude of sub-professions exist, and accountancy, which is organised very differently in the Member States, is not regulated in a number of them or is highly differentiated between different professions, with distinct areas of activities assigned to each of them. additional research by the Commission into national legislation. This information has been checked and discussed with Member States at several instances. It also takes into account complaints received or other feedback from stakeholders on restrictions they face. Each analysis contains a graphical visualisation of the restrictiveness indicator. This information should be read in conjunction with the descriptive analysis provided for each profession. The indicator aims at capturing the relative intensity of the regulation in place for each of the professions in every Member State. Non-regulatory barriers are not reflected in the indicator. However, they are reflected in the qualitative description to the extent possible and depending on information available to the Commission. Therefore there is not necessarily a perfect correlation between the scores provided by the indicator and the reform recommendations. Based on the above recommendations, Member States should re-assess and reconsider restrictions imposed on service providers and regulation for the selected professional sectors, and should in particular consider the cumulative effect of the various layers of regulatory measures. Some of the recommendations concern all Member States, while others are also addressed to Member States not regulating a profession but where a risk of creation of new barriers was identified. The profession is centred round planning, designing and reviewing the construction of buildings and surrounding space. Hence, public security and safety, protection of service recipients and the environment are the most commonly cited justifications for regulating this profession, pointing to the risks of poor construction. Looking at all the information gathered for this Communication there are marked distinctions between approaches to shared goals. Source: European Commission, November 2016. Chart 2 shows the relative position of Member States in terms of restrictiveness as to the access to and exercise of the profession of architect, according to the new restrictiveness indicator developed by the Commission. The education of architects has largely been harmonised so that qualifications can benefit from automatic recognition under the Professional Qualifications Directive. The harmonised minimum requirements according to the Directive are 5 years of education or 4 years of education alongside 2 years of practical training. 34 In reality, in addition to the minimum 5 years of university-level training, most Member States require further periods of practical training or experience in order to gain professional access (e.g. Austria 5 years education plus 3 years of practical training, the Czech Republic 5+3, Romania 6+2, Slovakia 6+3, Slovenia 5+3). The most commonly applied education period is 7 years in total on a 5+2 model. In 15 countries a state exam is also required. In contrast to the other Member States which stipulate that only qualified professionals with appropriate licences, certifications or registrations with a relevant body may legally practice architecture, Denmark, Estonia, Finland and Sweden do not regulate the profession as such but rather rely upon other checks of competence within the construction environment. 35 The differences between the two models may be less significant than they might appear where ‘non-regulating’ countries use certification of competences of architects or ad hoc evaluation of competences or experience on a case-by-case basis as a condition for allowing architects to provide specific services (e.g. submission of plans or building permits). The greatest variance between Member States is in the reserves of activities. As is also the case for civil engineers, reservations may be scattered across different rules and regulations, which might cover rules on construction, restoration, cultural protection, energy efficiency and others. Poland and Slovakia also reserve many activities but without title protection. Bulgaria reserves to architects/engineers the drawing-up of spatial plans and investment projects as well as submitting those documents and plans to the competent authorities. Germany reserves the drawing-up of documents for building permit applications, an activity considered by some the most important activity, to architects and engineers across all Länder. 36 Ireland is an example of recent changes: going from unregulated prior to 2007, the country has since introduced title protection alongside reserves of activities. Firstly, Austria, Cyprus, Estonia, Finland, Hungary, Malta and the Netherlands have no insurance requirements in place, whereas Belgium, Bulgaria, Croatia, the Czech Republic, France, Germany, Italy, Ireland, Latvia, Lithuania, Luxemburg, Portugal, Slovakia, Spain, Romania, Poland and the UK do. Secondly, restrictions on corporate form and shareholding are imposed by 16 Member States, all of whom except Austria, Cyprus and Malta do so in addition to insurance requirements. Belgium, Cyprus and Romania have particularly heavy restrictions on corporate form or shareholding. For example, Cyprus requires 100 % shareholding by professionals and disallows the provision of architectural services through public limited liability companies. Belgium requires 60 % of shares and voting rights to be held by architects while Malta restricts company forms but also requires 100 % shareholding. Romania requires businesses to be owned only by architects; however, it allows the establishment of commercial design companies having as their main object of activity architectural design, under the condition that the company includes at least one architect. Austria, the Czech Republic, France, Germany, Slovakia and Spain require at least 50 % of the shares to be held by professionals. In addition, in Austria the exclusive scope of the activity of architectural firms has to be the provision of architecture services limiting therefore significantly the possibility of joint exercise with other professions. Some 15 Member States impose continuous professional development (CPD) but take a broad range of approaches: Romania requires up to 96 hours/year (five-year cycles, 6 cycles during the career), while Hungary does so through a five-year exam cycle and the Netherlands requires only 16 hours annually. Denmark requires employers to set aside 10 % of employees’ annual salary to provide for their CPD whereas Austria allows architects to submit their professional work as CPD. One other point to consider relates to fragmentation in market access, which may cause unnecessary confusion and levels of authorisation seeking in countries like Latvia and Poland. Austria, Croatia, Ireland, Italy, Luxembourg, Poland, Portugal, Romania, Slovakia and Spain should reconsider the wide scope of reserved activities. Austria, Belgium, Cyprus, the Czech Republic, France, Germany, Romania, Slovakia and Spain should consider the impact of the shareholding and company form restrictions they have in place in addition to the other requirements. Austria should assess the proportionality of its restrictions on multidisciplinary activities. Cyprus and Malta need to review the requirement that 100 % of the shares of a company need to be held by professionals. Member States with a fragmented system of the profession or multiple certification requirements, like Latvia and Poland, should reflect upon the effects of their system on the free movement of professionals and whether potential obstacles can be justified. Member States making professional certification mandatory for non-regulated professions or relying on other checks and balances, especially on the provision of specific services, should review the overall coherence and practical effects of this model to avoid it becoming a barrier for accessing the profession. Ireland should further consider the impact and necessity of recent changes, in particular the reserves of activities. There are many similarities across Member States in their regulation of the profession of civil engineer. The same broad definitions can repeatedly be found for ‘scope of activities’ and many Member States report the same risks and pursue the same general interests when regulating the profession. However, despite this convergence, the regulatory approach towards the profession varies considerably from one Member State to another. 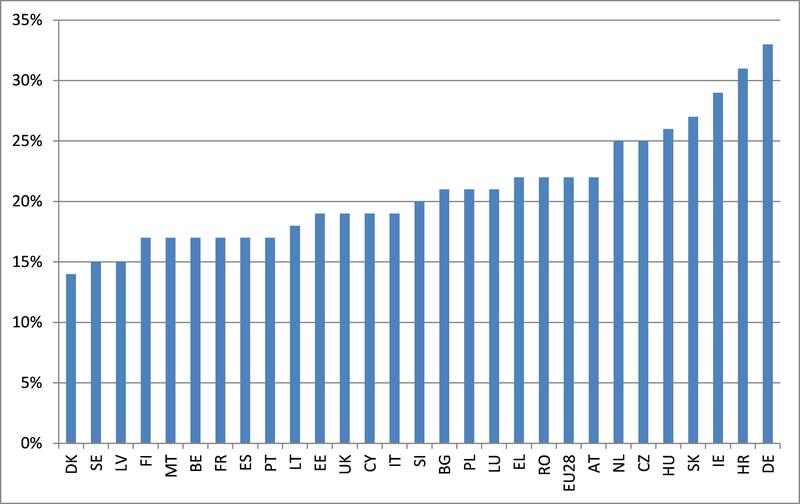 Chart 3 shows the relative position of Member States in terms of restrictiveness as to the access to and exercise of the profession of civil engineer, according to the new restrictiveness indicator. There is overall agreement that services provided by engineers need to be of a level to guarantee the safety of constructions and of the public and guarantee the quality of the service provided. While in most Member States the regulation of the profession is considered as the necessary approach to guarantee safety, other Member States have found different ways to ensure quality or to safeguard relevant general interest objectives. For example, in the Netherlands there is a regulation on construction standards, which ensures the quality of work performed. In Sweden, the principle of the responsibility of the client has traditionally been of major importance, together with checks by municipalities of work performed. As with architects, the differences between the two models may be less significant than might appear where ‘non-regulating’ countries use certification of competences of engineers 37 or an ad hoc evaluation of competences or experience on a case-by-case basis as a condition for allowing engineers to provide specific services by (e.g. submission of building plans or permits etc.). Among the regulating countries, certain Member States like Belgium, France and the United Kingdom, as regards chartered engineers, protect only the use of the professional title. In most countries there are several ways the profession of an engineer can be exercised, depending on either the limits of authorisations/permits/titles being granted and/or the various levels of responsibility being awarded. This is the case at least in Croatia, the Czech Republic, Italy, Finland, Greece, Hungary, Ireland, Latvia, Lithuania, Luxembourg, Poland, Portugal, Romania, Slovenia, Slovakia, Spain and the UK. For instance Latvia has the most specialised regime, with about 80 types of certifications possible for civil engineers in various areas of activities (engineering research or design or construction works management or construction supervision or construction expert examination). In Poland the activities of designing and construction are performed either by two different types of engineers or jointly by the same engineer depending on the qualification held. Moreover, depending on the level of the qualification, civil engineers can carry out designing/construction activities with restricted or full capacity. These divergences in the organisation of the profession are also reflected in reserved activities, which thus also vary across countries. In general, reserved activities mainly concern design or construction. Austria, the Czech Republic, Italy, Poland, Portugal, Romania and Spain operate with a wide scope of reserve of activities, although for some those activities are shared with other professions. Malta has the particularity that the reserved activities are not listed in one act. Instead, references to the ‘Periti’ as the only professional that can perform and assume responsibility for certain activities can be found in different legal acts. In Germany the reserve is limited to the submission of planning documents. Restrictions on shareholding requirements are imposed by Austria, Cyprus, Germany, Malta, Slovakia and Spain. For instance, Cyprus and Malta require 100 % shareholding by professionals, where Austria, Germany and Slovakia require at least 50% of the shares to be held be professionals. In Austria the exclusive scope of the activity of civil engineering firms has to be the provision of engineering services limiting therefore significantly the possibility of joint exercise with other professions. Some 14 Member States require membership with the professional organisation and in 16 Member States professional indemnity insurance is mandatory. On the cross-border mobility of engineers, the coexistence of unitary and fragmented systems might create barriers for civil engineers moving from a country with a unitary system to a country with a fragmented system. For instance, an engineer coming from a country where civil engineers are allowed to perform many different kinds of work in any sector would find it difficult in countries like Latvia or Romania to identify the sector of civil engineering he or she might be able to access and it may be difficult or even impossible to have access to all sectors without heavy compensatory measures. Austria, the Czech Republic, Italy, Poland, Portugal, Romania and Spain should reconsider the wide scope of reserved activities. Malta should clarify which activities are reserved to the ‘Periti’. Spain should re-assess the requirement for obtaining an authorisation from the professional organisation for certain projects/works. Austria, Germany and Slovakia should assess the proportionality of the shareholding requirements. Austria should assess the restrictions on multidisciplinary activities. Member States with a fragmented system of the profession or with multiple requirements depending on the specific activities pursued, like Latvia, should reflect upon the effects of their system on the free movement of professionals and whether potential obstacles can be justified. by protecting the professional title only (Greece, Ireland, the Netherlands, the UK). In the UK for instance, accountancy is a highly competitive sector and although entry to the profession without a professional qualification is theoretically possible, graduates holding a professional title have a considerable competitive advantage over other candidates. In nine Member States, namely in Cyprus, Denmark, Estonia, Finland, Lithuania, Latvia, Slovenia, Spain and Sweden, the profession is not regulated as such. Member States generally justify regulation in the sector by the important role tax advisers/accountants play in all tax systems in assisting consumers and taxpayers in complying with their tax obligations. Chart 4 shows the relative position of Member States in terms of restrictiveness as to the access to and exercise of the profession of accountant/tax adviser, according to the new restrictiveness indicator. The indicator does not take into account the regulation of the profession of auditor, which is regulated in all Member States based on Directive 2006/43/EC on statutory audits of annual accounts and consolidated accounts. Some Member States reserve both tax advice and accounting activities (often shared with other professionals, for instance in the Czech Republic, France, 38 Portugal, Romania). Bulgaria and Luxembourg reserve only accountancy, i.e. bookkeeping/drafting of consolidated financial statements, while Germany reserves only tax advice and representation before the tax authorities. Romania has three different regulated professions in the sector, while Austria has four professions. Italy reserves certain rather straightforward payroll activities to accountants in a way which implies additional burden for small businesses. Croatia is currently reforming the profession of tax adviser, establishing a very wide range of activities either exclusively reserved to the profession or including simple tasks such as preparation of tax returns for citizens and small businesses. While France reserves bookkeeping to expert accountants, a national court recently ruled that making accounting entries electronically before approving them falls outside the scope of the reserved activities. This judgment, however, is not fully implemented. The qualification requirements also vary considerably between Member States. The total length of training varies between 3 years (Greece, the Czech Republic) and 8 years (France, Romania). According to the information in the regulated professions database, continuous professional development is required in Belgium, Germany, Hungary, Ireland, Malta, Poland, Portugal, Romania and Slovakia. Mandatory registration with a professional body or in a professional register is provided for in 15 Member States, for instance in France, Germany, Greece, Italy and Luxembourg. Professional indemnity insurance is mandatory in 14 Member States, i.e. in Austria, Belgium, Croatia, the Czech Republic, France, Germany, Ireland, Italy, Malta, Poland, Portugal, Romania, Slovakia and the UK. In many instances the incompatibility rules or multidisciplinary restrictions affecting accountants/tax advisers are actually laid down in the regulation of other professions, such as lawyers and auditors. Some Member States, for instance Germany and France, have prohibitions on the joint exercise of activities, allowing cooperation only with a limited number of professions, for instance in the legal or accounting sectors. It appears that Belgium imposes strict incompatibility rules prohibiting multidisciplinary activities and the simultaneous exercise of any other economic activity for accountancy professions in Belgium. Several Member States (Germany, Portugal and Romania) also impose legal form and shareholding requirements. While Germany allows professional companies to perform activities related to tax advice under specific conditions, there is a lack of legal certainty as to the conditions under which professional companies established in other Member States may lawfully provide services on a temporary or occasional basis. Belgium, France Germany, Ireland, Malta, Poland, Portugal, Romania and Slovakia require at least 50 % of the shares to be held by professionals. Other authorisation requirements include good repute and proof of no previous bankruptcy, or the obligation to reside on the national territory (Croatia). Restrictions requiring residence on the national territory appear to be in breach with Union law. All Member States regulating professions in the sector should reconsider reserving simple tasks such as payroll activities or preparation of tax declarations to highly qualified professionals. Croatia should (i) re-assess the proportionality of the extended scope of the activities reserved to tax advisers as part of the upcoming reform, in particular as regards the necessity to reserve activities such as drawing up tax returns; (ii) consider the possibility to share the activity of tax counselling with other professionals in the sector, in line with Case C-451/03. Croatia needs to remove the restrictions requiring residence on the national territory. Croatia also needs to take fully into consideration professional qualifications obtained abroad in line with the Professional Qualifications Directive. Italy and Romania should assess the consistency of the reserved activities and the distribution between the multiple regulated professions in the sector. In particular Italy should take full account of the case-law of the Court of Justice in Case C-79/01 when defining activities reserved to professionals, in particular payroll activities. France should introduce clarity on the scope of the activities reserved to expert accountants, in particular as regards tasks such as making accounting entries electronically, in line with national case-law and Case C-79/01. Belgium should re-assess the incompatibility rules prohibiting the simultaneous exercise of any other economic activity for all types of accountancy professions, especially for those where the conflict of interest could be prevented on a case-by-case basis. Germany should ensure a proper follow-up of the Case C-342/14 in order to ensure transparency and legal certainty, in particular as regards provision of tax consultancy services by companies established in other Member States. Belgium, France, Germany, Ireland, Malta, Poland, Portugal, Romania and Slovakia should assess the proportionality of the shareholding requirements. Chart 5 shows the relative position of Member States in terms of restrictiveness as to the access to and exercise of the profession of lawyer, according to the new restrictiveness indicator. Given the different activities of the profession, e.g. representation in court, legal advice, drawing up legal documents, Member States have adopted different approaches as to the extent of activities reserved to lawyers. All Member States reserve to lawyers activities related to the representation of clients before judicial authorities, although how this is actually done may vary (the activity is sometimes shared with other legal professions). Spain, for instance, regulates two professions in the sector: abogados and procuradores. However, it reserves certain activities exclusively for the latter, such as technical representation of clients or communication of documents to the courts, whereas abogados are equally qualified to perform these activities and are subject to similar professional conduct rules. In the UK, England and Wales, Northern Ireland and Scotland have specific rules for the professions of solicitor and barrister or advocates and reserve to those two categories a wide range of activities such as the right of audience, conduct of litigation, reserved instrument activities, probate activities, notarial activities and the administration of oaths. Legal advice is reserved to lawyers in several Member States, such as France, Germany, Hungary, Poland, Portugal, Romania and Slovakia. In that context, the lack of clarity about the precise content of this reserved activity may lead to difficulties in areas such as the provision of online legal consultations and digital automation of legal documents by non-lawyers. Although technological developments have reduced to a certain extent the information asymmetry between lawyers and consumers, with legal information such as legislation and case-law widely accessible on the internet, in Bulgaria a draft law from 2015 suggests reserving to lawyers legal consultations and representation before a number of administrative authorities. In view of their particular role, the rules on the access to and the pursuit of the legal profession are among the most stringent in the business services sector. In terms of qualification, higher education is required in the large majority of Member States (a law degree being compulsory), followed by a mandatory traineeship and/or additional professional experience and bar examination. The total duration of the training varies between 3 years (Ireland) and 9 years (Slovenia). It appears, however, that in some Member States (Greece, Italy), training and experience obtained abroad are not duly taken into account when allowing access to legal traineeships for lawyers. 40 Recently, Spain introduced new rules on the qualification of lawyers, but clarity is lacking regarding the registration of graduates who started their studies before the reform entered into force. Certain Member States impose additional professional qualification requirements (e.g. additional professional experience) in order to practise before highest courts (Belgium, Bulgaria, France, Germany and Greece). In some of these countries, e.g. Belgium, France and Germany, lawyers practising before the supreme courts are also subject to additional authorisation requirements and the access conditions for lawyers from other Member States practising under their home country title remain unclear. Mandatory continuous professional development is provided for in most Member States, except for the Czech Republic, Greece, Malta, Slovakia, Slovenia and Spain where it is voluntary. Despite the extensive case-law on recognition of qualifications, 41 mutual recognition of lawyers’ cross-border continuing professional development appears to be problematic, especially for lawyers wishing to benefit from the rights granted to them under the two Lawyers’ Directives. All Member States impose compulsory registration with a professional body or in a professional register. In this regard, recent developments can be observed in some countries, such as Ireland and the UK, leading to the separation of legal regulators from the representative bodies. Most Member States impose strict incompatibility rules and multidisciplinary restrictions, 42 as well as legal form and shareholding requirements. These requirements have to be assessed considering the scope of the reserves of activities. Whereas such restrictions may be justified for activities related to representation in court, their cumulative effects appear more stringent where other activities are also reserved to lawyers. In this regard, all Member States have either a general rule to avoid conflict of interests or detailed incompatibility rules prohibiting the exercise of certain activities such as trade or salaried employment, except for those explicitly allowed (e.g. teaching or research). In Italy, for instance, it is not possible for lawyers to practise simultaneously the profession of patent agent, although the two professions have similar professional conduct rules and share activities. Multidisciplinary restrictions range from total prohibition (Bulgaria, the Czech Republic) to allowing certain multidisciplinary activities with a limited number of professions (France, Germany, the Netherlands). In Estonia, lawyers may participate in the management of a company where such participation is compatible with the professional activities of an ‘advokaat’ and cannot compromise the lawyer’s independence. A limited number of Member States allow involvement of non-lawyers in law firms. 43 The UK (England and Wales specifically) introduced the possibility for solicitors to participate in alternative business structures (ABS), allowing non-lawyer ownership and multidisciplinary practices. Non-lawyer ownership of companies is also possible in Spain (up to 25 %) and to a certain extent in Denmark. In Germany, more than 50 % of the shares of the company have to be held by lawyers (only other legal or accounting professionals may be shareholders). In February 2016 the German Constitutional Court declared that the prohibition of professional partnership with physicians and pharmacists was unconstitutional. In Finland, while the shares in limited liability companies must be owned by advocates, the Bar Association may grant an exemption in specific cases. Ordinary partnerships are generally allowed and in many Member States the exercise of the profession is also possible under the form of a professional company. A number of countries also allow lawyers to use the form of a limited liability company, for instance Austria, Belgium, Cyprus, Finland, France and Germany. Apart from the requirements listed above, most Member States require EU citizenship, a clean criminal record and taking an oath to follow the professional conduct and legal rules. It remains unclear whether Slovenia allows EU citizens qualified in Slovenia to practise the profession under the Slovenian title, due to the requirement for Slovenian citizenship. Cyprus imposes a residence requirement in order to practise the profession, which appears to be in breach of Union law and undermines the effectiveness of the Lawyers’ Directives. 45 Italy imposed recently a requirement to have at least five cases per year as proof of compliance with a general requirement of continuous and regular exercise of the profession. In Croatia a lawyer who is not practising for more than 6 months would be deprived of the right to exercise the profession, which is particularly problematic for lawyers wishing to establish or provide services abroad. All Member States reserving legal advice should clarify the scope of the reserves so as to facilitate the provision of legal consultancy services by lawyers or other service providers, in particular for online services. All Member States should assess legal form and shareholding requirements, incompatibility rules and multidisciplinary restrictions, in particular taking into account the proportionality of these restrictions in relation to core principles, such as the independence of the profession, and to the corresponding supervisory arrangements. In addition, consideration should be given to the cumulative effect of such requirements in cases where their effects might be accentuated in the case of extensive reserves of activities (e.g. where legal advice is also part of the reserved activities). Cyprus should review the rule on a residency requirement to the extent applicable to EU nationals seeking access to the profession in Cyprus, whereas Slovenia should remove the nationality requirement for EU nationals qualified in Slovenia. Bulgaria should re-assess the necessity of reserving to lawyers legal advice and representation of citizens before administrative authorities under its new draft law. Italy should clarify the requirements restricting the pursuit of the profession, such as the wide scope of the incompatibility rule, especially for professions with similar professional conduct rules, such as patent agents. The justification for and proportionality of the recently introduced requirement of having at least five cases per year should be re-assessed. Croatia should review the provision according to which a lawyer not practising for more than 6 months would be deprived of the right to exercise the profession. Belgium, France and Germany should introduce more transparency and review the proportionality of access rules for lawyers wishing to practise before their respective supreme courts, and in particular clarify the rules applicable to European lawyers. Germany should review the need to maintain age restrictions for practising before the Federal Court of Justice (Bundesgerichtshof), in contrast to measures which appear to be more suitable to achieve the objectives pursued, such as professional experience. Spain needs to review the scope of the activities reserved to procuradores and in particular whether certain activities such as technical representation or communication of documents to the courts can be shared with abogados. Spain should also issue clear guidelines and instructions regarding the registration of lawyers after the entry into force of the new system of qualification. The UK should assess the possibilities for adopting a more flexible approach as regards professional liability insurance obligations so as to reduce the financial burden for professionals. The profession of patent/trademark agent 46 is regulated per se in 22 Member States, while in a further two the relevant activities are expressly reserved to lawyers. In most countries the profession is regulated by way of reserves of activities and protected title (Austria, Bulgaria, Estonia, France, Italy, Luxembourg, the Netherlands, Poland, Portugal, Romania, Slovenia, Spain, Sweden and the UK). Several countries protect only the professional title (Finland, Ireland and Sweden) while seven countries regulate the profession only by reserves of activities (Belgium, the Czech Republic, Croatia, Germany, Hungary, Lithuania, Slovakia). 47 Finally, Cyprus and Greece reserve the activities to lawyers only. The reasons invoked by the Member States for regulating the profession are based: (a) on the protection of consumers and of recipients of the service (e.g. the right holders) and (b) on the integrity of the protection mechanisms and justice systems dealing with these issues. Thus, Member States have invoked as a reason for regulation the fact that patent/trademark agents deal with highly complex intellectual property laws and technical aspects of innovations, and that their improper handling would damage the position of their clients and the overall handling and protection of intellectual property rights in their country. Chart 6 shows the relative position of Member States in terms of restrictiveness as to the access to and exercise of the profession of patent/trademark agent, according to the new restrictiveness indicator. The scope of reserves of activities differs between the Member States. Some Member States (Bulgaria, Estonia, Hungary, Lithuania, Luxembourg, Slovenia and the UK) reserve exclusively for patent/trademark agents the activity of counselling and representation before the Patent Office or other administrative authorities. Lithuania reserves it only for foreign persons that are not permanent residents (or are not established as legal persons) in an EU Member State and Spain for representation of non-EU nationals. In Poland, the reserved activities of counselling, representation before the Patent Office and before administrative courts for industrial property aspects other than trademarks are exclusively reserved to patent agents. The representation before the courts in intellectual property matters is reserved exclusively to patent agents in Germany and Hungary. Several countries allow for this activity to be shared with other professionals like lawyers, notaries or legal advisers (Austria, Bulgaria, the Czech Republic, Estonia, Italy, Poland, Portugal and Slovakia). Other Member States reserve the activity of representation in court in general, including on intellectual property matters, to lawyers or other legal professionals, but not to patent agents (for instance, Belgium, Spain, France, Portugal, Romania and Slovenia). The activity of drawing up legal documents on intellectual property matters is reserved in several Member States (Austria, the Czech Republic, Romania, Slovakia, Poland) to patent agents and other legal professionals. However Hungary reserves it exclusively to patent agents. Hungary also reserves to patent agents the activity of performing research or providing advice in connection with industrial property rights. In certain countries not regulating the profession of patent/trademark agent per se, i.e. in Cyprus and Greece, the relevant activities are, however, reserved to lawyers. The qualification requirements also vary considerably between Member States. While all Member States require university degrees with a duration between 3 and 5 years, certain Member States, namely Austria, Croatia, Hungary and Ireland, require specialised studies (technical or sciences). The UK requires specialised courses on patent and trademark law and there are only a very small number of courses approved by the registration authority. Prior professional experience is required in most of the Member States but the duration varies between 2 years (Bulgaria), 5 years (Croatia, Lithuania) or even 7.5 years (Austria). Traineeship under the supervision of a patent agent is required in certain Member States (Belgium, Germany, Hungary, Ireland, Italy, Luxembourg, the Netherlands, Poland, and the UK). In most Member States an exam has to be passed. This means that the total length of required education could vary between 3 years in Portugal (where no traineeship or prior experience are required) and 7 years (Germany), or even 12.5 years (Austria). This needs to be seen in the light of the fact that the activities can be performed, for instance, also by lawyers without the need to specialise in intellectual property law. Professional insurance is required in 12 Member States and some also restrict the conditions under which the insurance is provided (for instance the UK). Several Member States impose restrictions on company form and shareholding requirements. For instance, Austria requires a professional firm to be owned 100 % by patent/trademark agents. Other countries, like Romania, allow the establishment of either a professional company (100 % owned by patent/trademark agents) or a regular company (with non-professionals). Hungary regulates both professional partnerships (with 100 % shares to be held by patent agents) and professional companies (with 75 % shares to be held by patent agents). France does not lay down a shareholding requirement but requires instead that the decision-making power in the company must be with patent/trademark agents. Greece and Cyprus require that 100 % of the partners are lawyers. Germany and Poland require at least 50% of the shares to be held by professionals. Several Member States also prohibit completely the exercise of the profession of patent agent together with other professions (for instance, Austria and Hungary), while others allow the joint exercise only with legal or accounting professions (Estonia, Germany). Concerning the cross-border provision of services, in a number of Member States Directive 2013/55/EU 48 has not yet been transposed into national law on patent/trademark agents. For instance, Germany and the UK, by establishing a limited list of qualifications to be recognised, do not allow for recognition of the professional qualification of patent/trademark agent from some EU Member States. Slovakia requires a specific recognition procedure for holders of diplomas from other EU Member States to access the (non-regulated) profession of assistant patent attorney. Slovakia should ensure that the recognition procedure it applies to foreign diploma holders seeking access to the profession of assistant patent attorney complies with the TFEU provisions on free movement of workers and non-discrimination and with the relevant case-law. Germany and the UK should transpose as soon as possible Directive 2013/55/EU and ensure compliance with EU law on patent agents. Austria, Germany and the UK should reconsider the various layers of regulatory measures, for instance requiring multiple years of professional experience or professional training in addition to basic training requirements and try to offer alternative ways to obtain the qualification. Croatia, Estonia, Lithuania and Sweden should re-assess the condition of prior professional experience as a requirement to access the profession of patent/trademark agent. The UK should assess insurance requirements to ensure they are not overly restrictive. Austria, Estonia, Hungary, Poland and the UK should assess the scope of reserves of activities for patent/trademark agents. Cyprus and Greece should assess the proportionality of the measures reserving activities related to industrial property solely to lawyers. Austria and Hungary should assess the proportionality of prohibitions on the joint exercise of the profession of patent/trademark patent with other professions. Austria, Germany, Hungary and Poland should assess the proportionality of the shareholding requirements. Regulatory approaches in the real estate sector vary significantly across countries. While in some Member States the profession has been regulated for a long time (e.g. in Austria it has been regulated since 1973), in others regulation was introduced more recently (e.g. in 2011 in Ireland). Three countries seem to intend to regulate access to this profession (the Czech Republic, Germany and Slovakia). By contrast, the Netherlands, Poland and Portugal have recently opted for deregulation. Chart 7 shows the relative position of Member States in terms of restrictiveness as to the access to and exercise of the profession of real estate agent, according to the new restrictiveness indicator. The profession is regulated in 14 Member States: Austria, Belgium, Croatia, Cyprus, Denmark, Finland, France, Hungary, Ireland, Italy, Luxembourg, Slovakia 49 , Slovenia and Sweden. Most countries regulate by means of the reserves of activities. Cyprus, Belgium, Denmark, Finland, 50 Ireland, Italy, Luxembourg and Slovenia regulate by way of a reserve of activities alongside the protection of a title. In Spain there is some regional regulation of real estate agents’ activities. Most countries have similar activities reserved for real estate agents. These consist essentially in acting as an intermediary between buyers and sellers of real property including giving advice. However, in some instances real estate agents perform tasks in addition to bringing the parties to the transaction together and counselling them and some of these activities are rather complex. For instance, in Nordic countries licenced real estate agents provide legal advice within their level of expertise (e.g. in Sweden licenced real estate agents assist in drawing up appropriate documentation or give advice on contract clauses In Finland, most transactions involving a real estate agent concern the sale and purchase of shares in a housing cooperative without separate endorsement by an official notary. Property appraisal/evaluation is mentioned for Denmark and Italy 51 , while in Austria the representation in front of public authorities/courts (as far as this is not reserved to lawyers) as well as carrying out public auctions of properties is reserved to real estate agents. In Belgium and France, real estate agents are involved in co-ownership management and property management activities under the role of syndic. In many cases the activities of real estate agents are shared with lawyers and/or notaries. However, in a few cases at least certain real estate brokerage activities appear to be exclusively reserved to qualified estate agents (Austria, Cyprus, Ireland, Luxembourg, Sweden and Slovenia). Most countries require education of a duration of around 2-3 years that may also need to be supplemented by a traineeship and/or work experience and/or exam. In some of the most stringent cases, such regulation can partly be explained by certain more complex tasks being entrusted to estate agents (e.g. in Austria, Denmark and Sweden). This stands in contrast to countries like Croatia, Finland, Hungary and Italy, which have relatively low qualification requirements. For instance, in Hungary the duration of the education programme is 6 months only, while in Finland there is only an examination, but no specific training or previous experience is required. In Croatia and Italy there is mandatory examination open to the holders of high school diploma and for Italy, completion of an 80-hour training course. On the other hand, in countries which do not regulate the profession, the interests of consumers are protected by other means such as general legislation on consumer protection, civil and criminal law and professional conduct rules. Self-regulation and voluntary certification systems serve as another alternative to regulation. This is the case, for instance, in the Czech Republic, Lithuania, the Netherlands, Poland and the UK. Austria, Cyprus, Ireland, Luxembourg, Slovenia and Sweden should take into consideration the possibility of opening to other professionals the activities currently exclusively reserved to estate agents. Austria, Belgium, Cyprus, Denmark, France, Ireland, Slovakia and Sweden should evaluate to what extent the duration of mandatory qualification requirements is indispensable in view of the tasks pursued by estate agents and the objectives of regulation. Belgium, Croatia, Cyprus, Finland, Italy and Sweden should consider the possibility of alternative pathways to access the profession. Belgium should evaluate the need for shareholding and voting rights restrictions. Slovenia should reconsider its citizenship requirement for real estate agents. As part of the forthcoming reform, the Czech Republic should avoid multiple layers of regulation and assess in detail whether the objective of consumer protection could be ensured by less restrictive means, such as introducing a protected title. Germany should monitor ongoing debates to introduce new regulation and base any change in regulation on solid proportionality assessments. Italy should evaluate the necessity and proportionality of prohibitions on incompatible activities. Spain should review existing regional regulations, as they could lead to confusion regarding access to and exercise of this profession and could create obstacles to mobility. Slovakia should remove the requirement for the holders of qualifications from other EU Member States to undergo a procedure for academic recognition of diploma. The profession of tourist guide is regulated in 14 Member States, namely Austria, Bulgaria, Croatia, Cyprus, France, Greece, Hungary, Italy, Lithuania, Malta, Romania, Slovakia, Slovenia and Spain, with quite some significant differences as to the intensity of the regulation. Regulation is more prevalent in the southern part of Europe and around the Mediterranean. It is usually based on considerations of cultural, historical, archaeological and artistic heritage and its proper appreciation. Both the tourism industry itself and consumers’ behaviour have evolved in recent years and today knowledge on cultural and heritage sites is available increasingly through other, including digital, information sources. The justification for and proportionality of regulation of tourist guides needs to be assessed carefully in order to ensure that restrictions are limited to what is necessary to prevent damage to the cultural richness of a Member State. Chart 8 shows the relative position of Member States in terms of restrictiveness as to the access to and exercise of the profession of tourist guide, according to the new restrictiveness indicator. The scope of the reserved activities differs considerably between Member States. In Austria and Bulgaria there is a very wide range of activities reserved to the holders of specific professional qualifications, covering also guidance of persons to show and explain to them the social and political situation in national and international contexts, guidance of persons at sporting and social events and escorting tourists from the airport to their hotel. It must, however, be stressed that a reserve of activity is a restriction that should be limited to what is strictly necessary to protect a general public interest. Furthermore, the creation of reserves of activities, when regulated at regional level in federal or regional states, deserves particular attention if the scope of the activities is geographically restricted within one Member State, like in Croatia, Italy and Spain. As a consequence, professionals may have to obtain different qualifications and authorisations inside a single Member State if they want to exercise their activities in more than one region. Such differences render access to and the exercise of the profession more complicated 57 and might raise issues of compatibility with Union law. Professional qualifications required differ between regulating Member States. The level of qualification varies from vocational training to an academic qualification, ranging in length from one year in Cyprus to 5 years in Italy. In Greece, while a diploma from a school of tourist guides was initially required, recently holders of specific generic diplomas, such as diplomas in archaeology, history, social anthropology, ethnology, etc., may obtain a tourist guide licence once they have successfully completed a two-month specific training course. In Italy the qualifying examination includes a written test, which covers the historic and artistic heritage of a specific area of a region and an interview. In Italy and Spain, several different regulations exist depending on the region or autonomous region regulating the profession and requirements. Most Member States indicated the need for very specific knowledge linked to the country such as knowledge of its history and art (e.g. Cyprus, Slovenia). Croatia, Slovenia and Spain organise state exams for the profession of tourist guides. No legal form or shareholding or management control restrictions exist for this profession. Having a list of sites where working as a guide is reserved to holders of specific qualifications and laying down rules on how to obtain such specific qualifications might also create unjustified restrictions if the actual reasons justifying the listing for each site have not been assessed and if exams are only organised every two years, as seems to be the case in Italy. In other Member States, like France, only qualified tourist guides are admitted at a certain number of historic monuments. In Croatia, the law specifically states that expert guide services at a museum, gallery, protected natural area, archaeological site, etc. are not to be considered as activities of tourist guides. This might lead to a fragmentation of the market and put a significant burden on service providers from another Member State who are accompanying tourists through different parts of a country and do not limit their provision of service to a particular site. All regulating Member States should consider the justification and proportionality of regulation of the profession. Austria, Bulgaria, Malta and Slovenia should consider introducing a more precise definition of the reserved activities in view of the very wide or undefined scope of reserved activities. Croatia and Italy should: (i) clarify the regulatory framework governing tourist guides given the diverging regional regulations which seem to hinder access to the market and which affect national service providers as well as those providing temporary services; (ii) review the list of sites reserved to holders of specific qualifications and consider the proportionality of each reservation. Spain should: (i) review access to the activity of tourist guides, which currently differs between autonomous regions, limiting access to and exercise of the profession for established service providers as well as for those providing temporary services; (ii) ensure nationwide validity of authorisations. Conclusions of the European Council of 28 June 2016 and 20-21 October 2016. Already in its conclusions of 24-25 October 2013 the European Council stressed the importance of the mutual evaluation of regulated professions launched by the Commission and called for swift progress. This exercise should identify the remaining barriers to access to professions in the Member States, assess the cumulative effect of all restrictions imposed on the same profession and suggest appropriate action. Communication from the Commission to the European Parliament, the Council, the European Economic and Social Committee and the Committee of the regions, Upgrading the Single Market: more opportunities for people and business, COM(2015) 550 final . See also the conclusions of the Competitiveness Council of 29 February 2016 welcoming the periodic country-specific guidance on regulated professions, also in light of its potential to ensure that regulation by each Member State is proportionate and stressing the need to ensure an effective and consistent follow-up. In its conclusions of 1-2 March 2012, the Council stressed the importance of making progress on enhancing the mutual recognition of professional qualifications, reducing the number of regulated professions and removing unjustified regulatory barriers. For a description of this exercise see point I.2 below. EU Regular Economic Report, Fall 2016, World Bank Group. ‘Product Market Review 2013 — Financing the real economy’; European economy 8/2013, European Commission. See for example E. Fernández Corugedo and E. Pérez Ruiz, ‘The EU Services Directive: Gains from Further Liberalisation’, IMF Working Paper, 2014. The results in this study are based on the impact of further liberalisation on the French economy. The study shows in particular that increasing the total factor productivity in the other business activities sector (mainly including business services) would lead to significant economy-wide spill-overs. See landmark Case C-340/89 Vlassopoulou, Case C-313/01 Morgenbesser, Case C-345/08 Peśla. Directive 2005/36/EC, as amended by Directive 2013/55. The Communication of the Commission of 2 October 2013 (COM(2013)676) sets out a work plan to improve transparency on national professional regulations and to assess and discuss justification and proportionality of existing rules (mutual evaluation). Starting in 2014, this process required Member States firstly to introduce all the professions they regulated into the regulated professions database alongside all the regulatory measures they implemented for each profession notified. Then, using this information, they were required to review the impact of such measures and to consider their value in protecting legitimate public interests. The reports drawn up after these discussions can be found under http://ec.europa.eu/growth/single-market/services/free-movement-professionals/transparency-mutual-recognition_en . The national action plan is part of the legal obligations Member States have to fulfil in the transposition of the Professional Qualifications Directive. Not delivering any plan puts Member States at risk of having infringement proceedings lodged against them. National actions plans are publicly available — see http://ec.europa.eu/DocsRoom/documents/17943 . Actions including facilitating the cross-border operations of start-ups via the digital single gateway were adopted on 22 November 2016, see http://europa.eu/rapid/press-release_IP-16-3882_en.htm. European Parliament Resolution of 26 May 2016 on the Single Market Strategy . Council Conclusions on ‘The Single Market Strategy for services and goods’ of 29 February 2016 . Council Conclusions o f 29 February 2016. See interactive map in the EU regulated professions database for a visual representation of occupational regulation across the EU countries ( https://ec.europa.eu/growth/single-market/services/free-movement-professionals/regulated-professions-database_en °). The database includes information on the regulated professions covered by Directive 2005/36/EC and shows that some 600 different ‘ generic professions ’ are affected by occupational regulation. For each generic profession there are usually many more professions covered by the national terminology. This is because under each generic profession there are several sub-professions, which brings the number of regulated professions in the EU up to around 5 500. EU regulated professions database, November 2016. The concept of reserved activities does not always refer to activities regulated by law. A ‘reserve of activities’ could be implied by any requirement reserving the exercise of a service activity to the holders of a specific professional qualification. Title protection refers to legislation conferring the right to carry a particular professional title (such as attorney-at-law, architect, tourist guide) on those who meet particular requirements, most often on holders of a particular qualification. M. Koumenta and M. Pagliero (2016), "Measuring Prevalence and Labour Market Impacts of Occupational Regulation in the EU". See: http://ec.europa.eu/DocsRoom/documents/20362 . Wage premiums and high profit margins are a common indicator of monopoly rents, which in turn lead to high prices for consumers and an overall lack of competition within the profession. The effects of reforms of regulatory requirements to access professions: country-based case studies http://ec.europa.eu/growth/tools-databases/newsroom/cf/itemdetail.cfm?item_id=8525&lang=en . European Commission: ‘Business Services — Assessment of Barriers and their Economic Impact’; available at: https://ec.europa.eu/growth/single-market/services/economic-analysis_en . The effects of liberalisation of professional requirements in Greece , E. Athanassiou, N. Kanellopoulos, R. Karagiannis, A. Kotsi, Centre for Planning and Economic Research (KEPE), Athens,2015. See detailed explanations in the methodological annex (Staff Working Document, Section V). First developed in 1988, the OECD PMR indicator's latest update was performed in 2013. See: http://www.oecd-ilibrary.org/economics/the-2013-update-of-the-oecd-s-database-on-product-market-regulation_5js3f5d3n2vl-en . See Section VI of the accompanying Staff Working Document. To be applied in conjunction with the learning outcomes described in Article 46 of the Directive. In Estonia, for example, carrying out certain professional activities requires a professional certificate (i.e. a certificate at a certain level issued by the Qualifications Authority). The variation in regulation across Länder relates not only to reserves but also to shareholding/prior professional experience requirements. Registration is also required at a regional level and varies as a result. In Estonia, for example, certain modes of pursuit of the professional activities require a professional certificate (i.e. a certificate at a certain level issued by the Qualifications Authority). In France, tax advice involving complex matters is reserved for lawyers, but expert accountants may provide tax advice to their clients. Auditors and notaries may also provide tax advice if it is related to their activities. Based on the similarities in regulating the profession, notably by protecting the professional title, lawyers benefit from two specific directives, namely as regards the possibility to provide services on a temporary or occasional basis under the home country professional title (Directive 77/249/EEC), or as regards the possibility to establish on a permanent basis in another Member State under the home country professional title (Directive 98/5/EC). Whereas these two directives do not define the activities, reserved to the profession in general, they refer to ‘activities of lawyers’, such as activities relating to the representation of a client in legal proceedings or before public authorities, as well as legal advice. See Case C-313/01 Morgenbesser, allowing legal traineeships to be undertaken by law graduates in any Member State, following an assessment of the qualification obtained abroad. In this regard, Directive 98/5/EC allows Member States to impose certain limitations on the form of the grouping or the shareholding requirements of law firms, but only to the extent they are justified, necessary and proportionate, following a case-by-case assessment. This means that such requirements have to be read in conjunction with Article 59 of the Professional Qualifications Directive, covering all regulated professions. The restrictiveness of this requirement was singled out in the study on the Evaluation of the Legal Framework for the Free Movement of Lawyers, see http://ec.europa.eu/internal_market/qualifications/docs/studies/2013-lawyers/report_en.pdf . According to settled case-law, modern methods of transport and telecommunications enable lawyers to maintain the necessary contacts with clients and the judicial authorities. The objective pursued can be achieved by imposing on the lawyer obligations which restrict the pursuit of his activities to a lesser extent, by requiring the lawyer providing services to have an address for service at the chambers of a local lawyer, where notifications from the judicial authority in question could be duly served. In a number of Member States patent agents are called patent attorneys (for instance in AT and DE ‘Patentanwälte’). The existence of the qualification of European Patent Agent based on the European Patent Convention signed by all EU Member States should also be mentioned. This qualification allows the professional to use the mentioned title when representing before the European Patent Office. However, this qualification does not allow the exercise of the profession of patent agent in those signatory countries which regulate the profession. Slovakia does not consider this profession regulated given that only trade activities are regulated. Please refer to the Staff working document accompanying this Communication for more information. While in Finland the title is protected, the law also requires that responsible managers and at least half of those engaged in agency’s work have required qualifications. In Hungary, Latvia and Lithuania, immovable property appraisers/valuators are regulated as a separate profession. Austria, Slovenia, Hungary and Italy. Austria, Belgium, Denmark, France, Finland and Hungary. Belgium, France, Ireland, Sweden and Slovenia. The mutual recognition of qualification obtained in other Member States is provided for, but foreign nationals who have obtained qualifications in Slovenia do not appear to be covered by those rules. For more information on the regulation of this profession and of linked professions like tour manager or travel agent, see the report drawn up as part of the mutual evaluation exercise. See also the Commission staff working document on the result of the performance checks of the internal market for services SWD(2012)147 accompanying the Communication from the Commission on the implementation of the Services Directive COM(2012)261.